The age of connected devices is here. The many real-world applications enabled by IoT infrastructure range from voice-enabled products that control lights and thermostats to real-time error-detection in hazardous industrial environments. New low-cost solutions for IoT devices will drive faster, widespread adoption across many industries. Networks of connected devices interlaced throughout daily life have facilitated a shift from the what to the why within the IoT space; NXP technology is enabling this transition with innovative solutions designed with efficiency and security in mind. At NXP Connects 2018 in Santa Clara, California, developers and key players from the IoT community came together to experience and network with others that are building embedded solutions that specifically address current and future applications. At NXP Connects, the IoT & Security Solutions team demonstrated full-system solutions running on low-cost microcontrollers that enable the spread of connected devices across many verticals such as smart home, industry 4.0, and smart retail, to name a few. 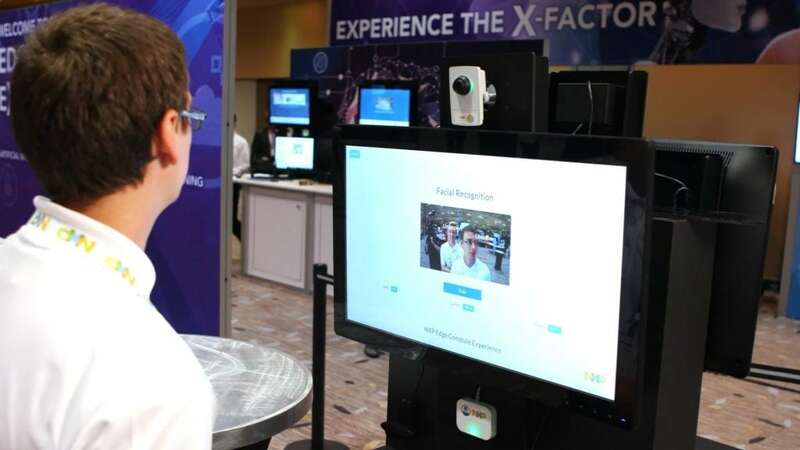 Solutions demonstrated included Voice & Facial Recognition and Anomaly Detection that all run on low-cost microcontrollers along with the Rapid IoT Prototyping Kit and IoT Gateway – complete tools for IoT developers that include software, hardware, connectivity, security, and cloud services – all out-of-the-box. The importance in these solutions lies in the fact that old barriers to entry have effectively been lowered or eliminated – this means different things to different people, but the result is the same: IoT devices reaching further and wider. “There are very few of these events left in the industry that really bring together and offer the labs, offer the tutorials, and offer the breadth of experience that you get from several different companies…” said Jim McGregor, a Principal Analyst from TIRIAS Research. With the technology enabling scalable IoT Solutions for the embedded applications space, along with the culture of innovation fostered by events like NXP Connects, the future is bright for bringing secure and connected devices to more places in our daily life. Be sure to check out the next NXP Connects event in Shenzhen, China from September 5-8, 2018.